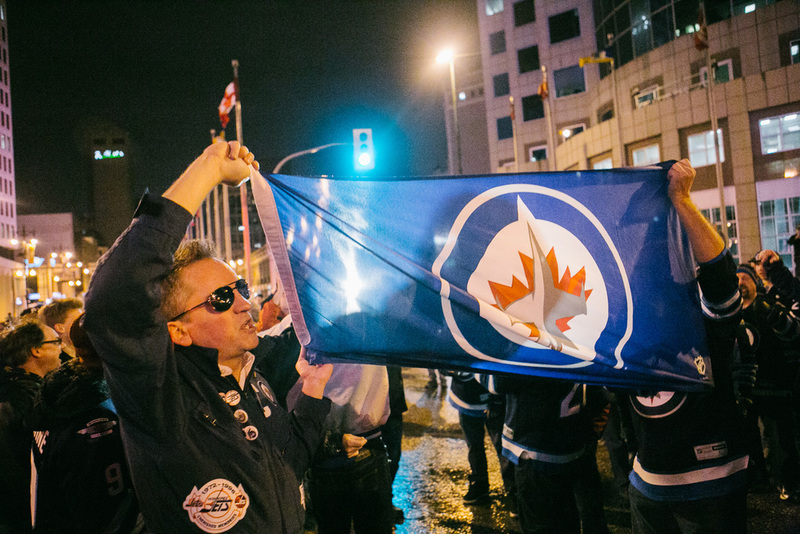 This year was the first year the Winnipeg Jets had a shot at making playoffs since they came back in 2011. 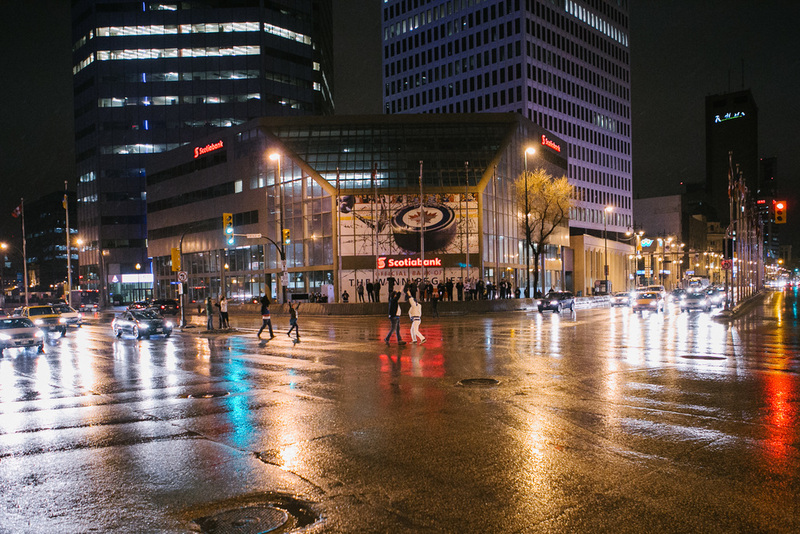 As most of you know, Winnipeg loves their hockey and waited several years for their NHL team to come back. 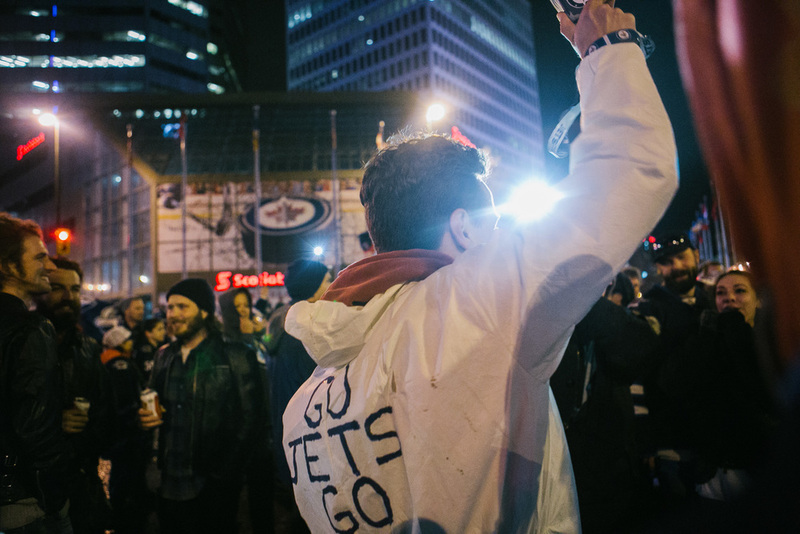 When the NHL announced that the Jets were officially returning to Winnipeg, the people took to the intersection at Portage and Main to celebrate. This year people went to celebrate making playoffs since they first came back home. 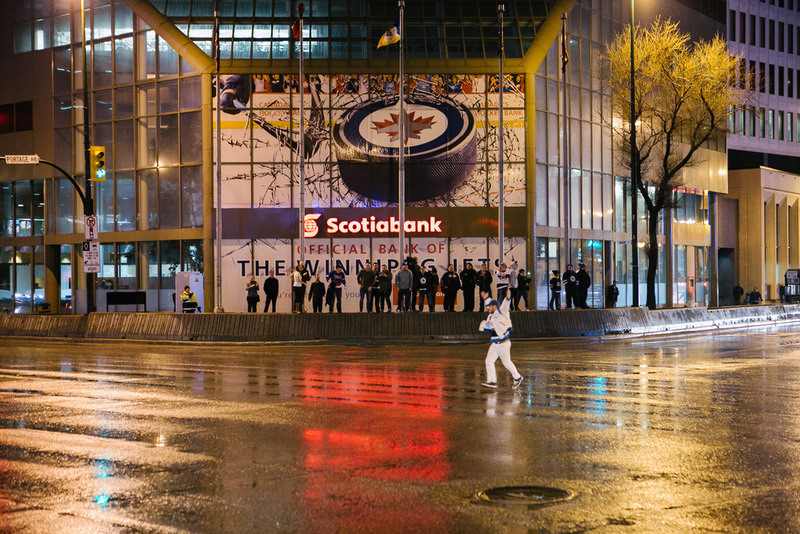 My friend Daniel and I were well prepared and got there a half hour early to capture the excitement of our city. 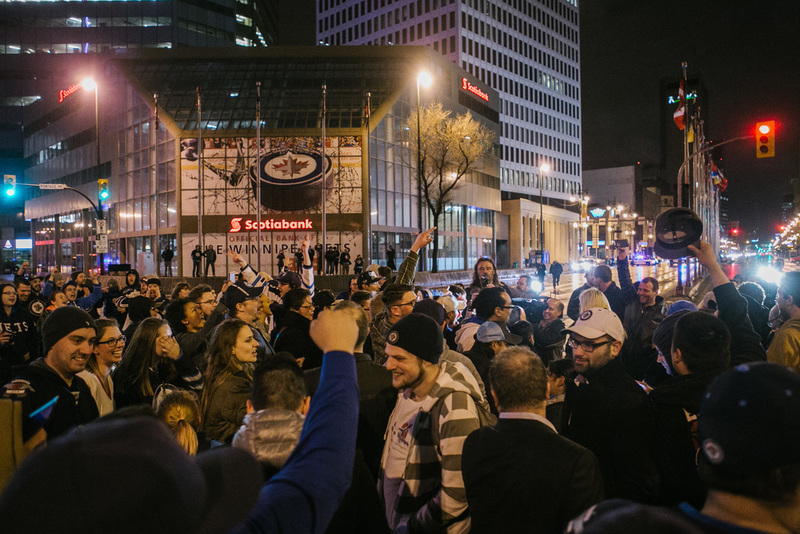 It took a little while for the party to get started but we started by cheering from the sides of the streets and eventually when the crowd was large enough, we took to the middle of Winnipeg's biggest intersection. 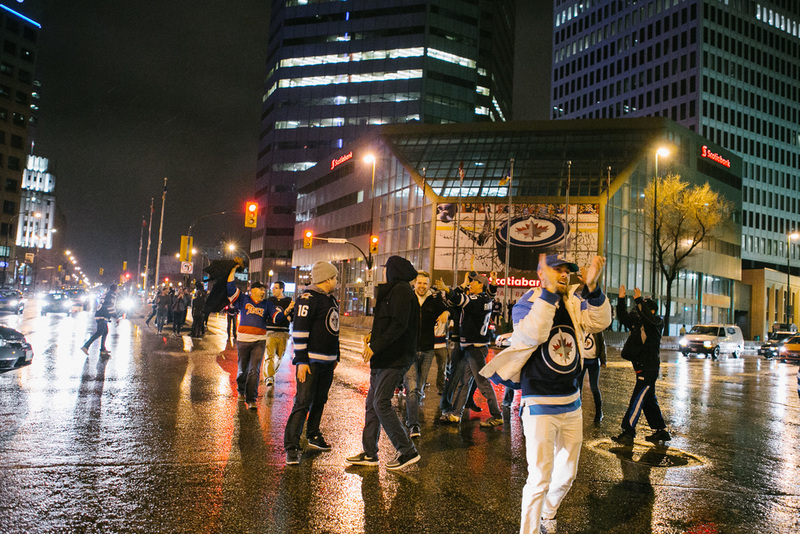 It was a very exciting time for Winnipeg and the energy in the crowd was nothing positive. Every person wanted a high five, a hug or a cheers. 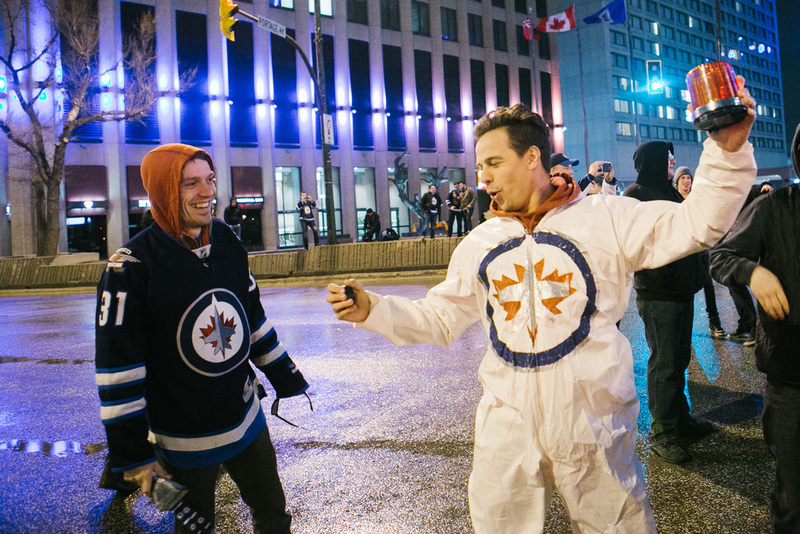 It was very clear to me that night that Winnipeg has some of the most committed fans in the league. It was a fantastic experience.